For a long time I was on the fence about a favourite cut for pulled beef, my usual go-to either chuck or oyster blade. But I've decided that oyster blade wins. It wins for one main reason: collagen. Oyster blade has a big seam of collagen running through the middle of it. 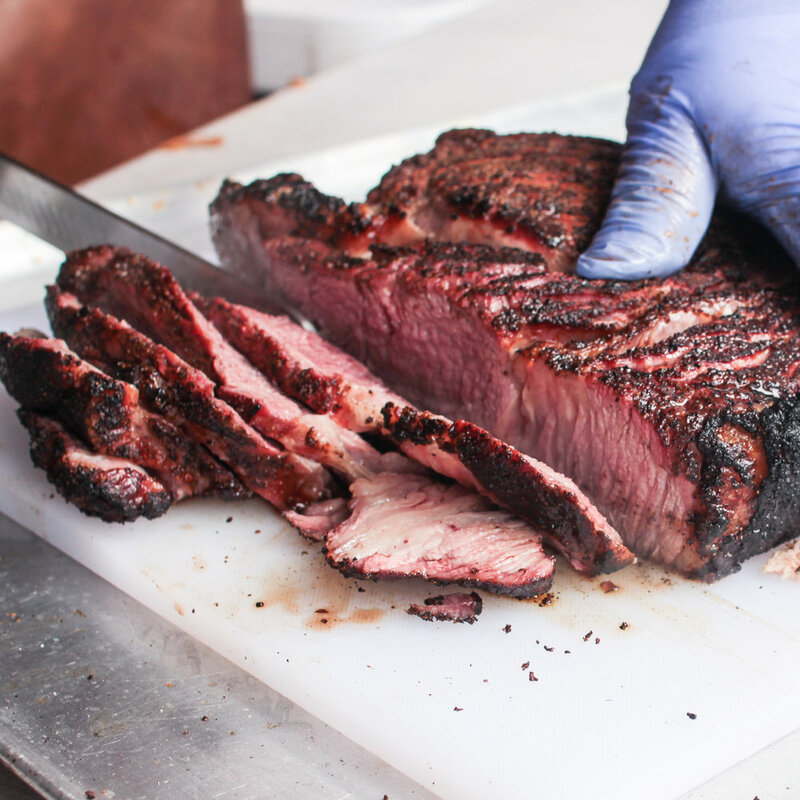 When treated right and allowed to break down it becomes like a giant beef cheek - gooey, sticky and delicious. Oyster blades usually weigh in at around 1.8 - 2.2kg when we buy them from Troy's Meats. They benefit from a quick trim beforehand so they can be the best they can be. Underneath there is a thick silver skin which struggles to break down completely. 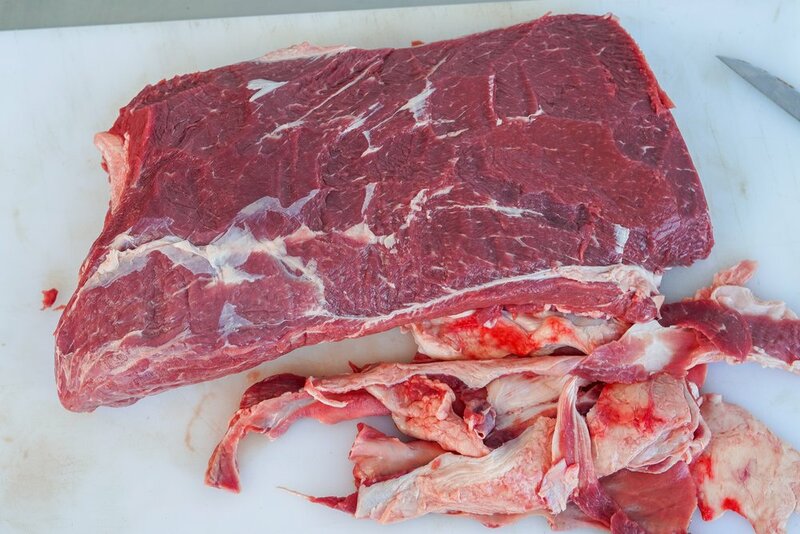 The top layer of fat and silver skin, when cooked long enough, will break down to pull however when removed allows for rub to be applied directly to the meat, making for better overall meaty barky morsels (that's the technical term). Using a sharp knife to get under the silver skin, angle your knife up towards the skin slightly you can generally use it as a guide as the fat will cut easier than the skin. Rub the oyster blade with your favourite rub and get your smoker ready - I cooked the oyster blade at 250f this time, but anywhere from 250-300f would be fine. We used our Ruckus rub for this cook, I prefer savoury with beef but the for flavour choices the world is your oyster (sorry). Wrap in foil around 165-180f internal temp or once happy with bark. Continue until at least 205f and probe tender, could be up to 210f. Oyster blade is a cut that benefits from a wrap. The big seam of collagen in the middle absolutely must break down for this cut to be the best it can be and wrapping helps us achieve this. 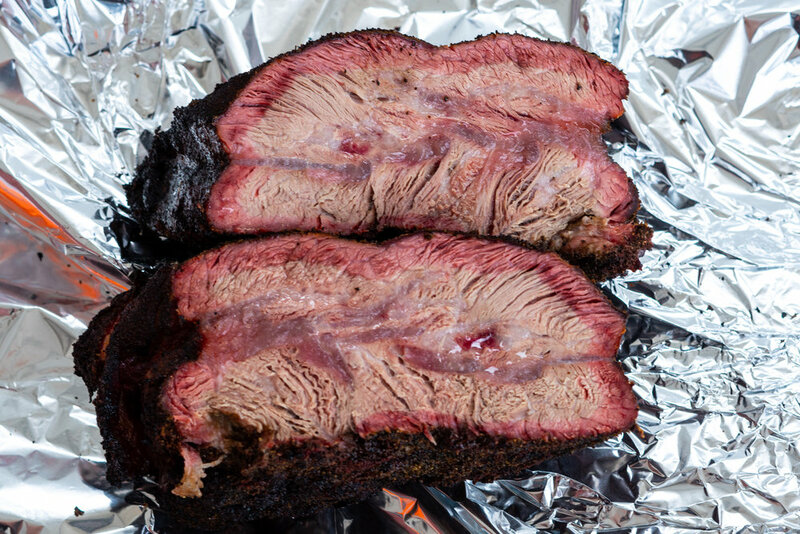 As the wrapping is about overcoming the final hurdle of collagen I tend to wrap reasonably late in the cook around 175f internal as by then the bark has usually set well - the later you wrap the less risk there is of bark degradation, and we all know bark is one of the best parts of barbecue! Help! I overcooked my barbecue! 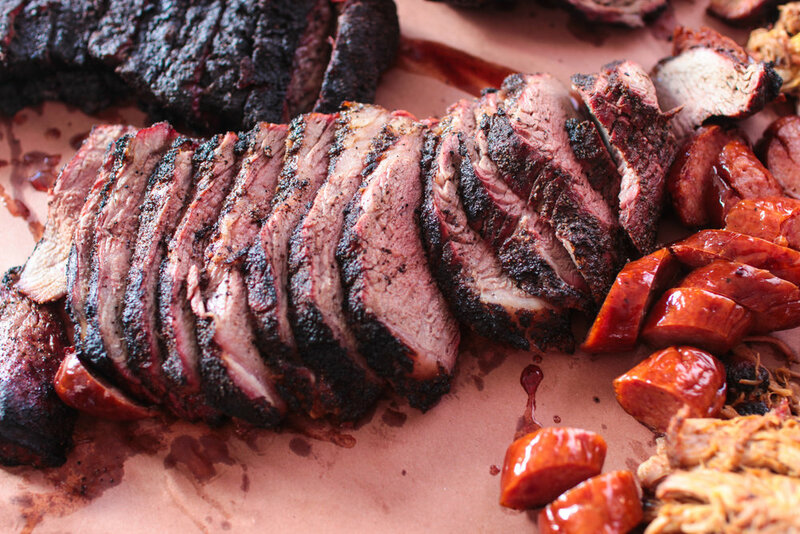 A common issue that comes up when starting out in barbecue is the concern of overcooking. 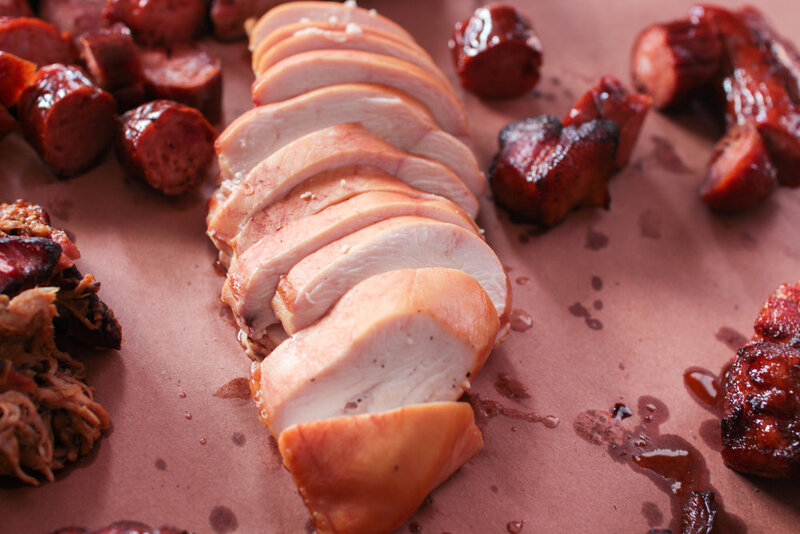 More often than not with low and slow cuts, however, is that they have actually been undercooked. The oyster blade pictured above was cut in half at around 175f. At this point it really does look overcooked, like a beef roast you forgot about and is only palatable with a tablespoon of bearnaise on every bite. However these secondary cuts work counter intuitively, and the oyster blade is a great example because we can see that big seam of unrendered collagen still sitting in the middle waiting to give this seemingly dry beef a new lease on life. I like to think of it as a self saucing pudding. Final internal temperature, as with all barbecue, will vary. 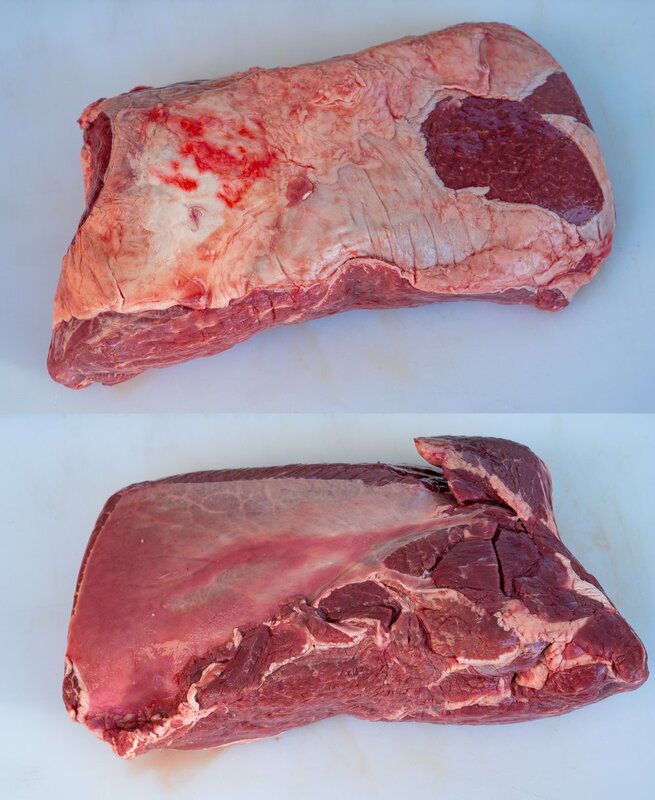 However I find oyster blade, like beef cheeks tends to be on the slightly higher side due to the collagen seam. On average my oyster blades of late have been around the 207f mark when coming off the pit. I like to give oyster blade a 1-2 hour rest, however you do want to pull while there's a bit of heat in there because the collagen can reform so you want to make sure it's pulled and mixed through, coating all the beef in its sticky goodness. Sauce to your preference. On the Varsity Project Barbecue Mondays I have been serving with Korean bulgogi sauce which is salty, delicious and a pleasant break from run of the mill bbq sauces. Enjoy - let me know what you think and jump on Perth BBQ Club to share pictures of your oyster blade tips and cooks.